We’ve done our research at Pindrop and understand that our clients are seeking hearing solutions that are effortless, simple and above all clear, rich sound. Our clients, people like you, want solutions that deliver superior hearing performance, in both speech understanding and sound quality. They want hearing solutions that automatically adjust, are rechargeable and also seamlessly connect to the devices they use in their everyday lives. 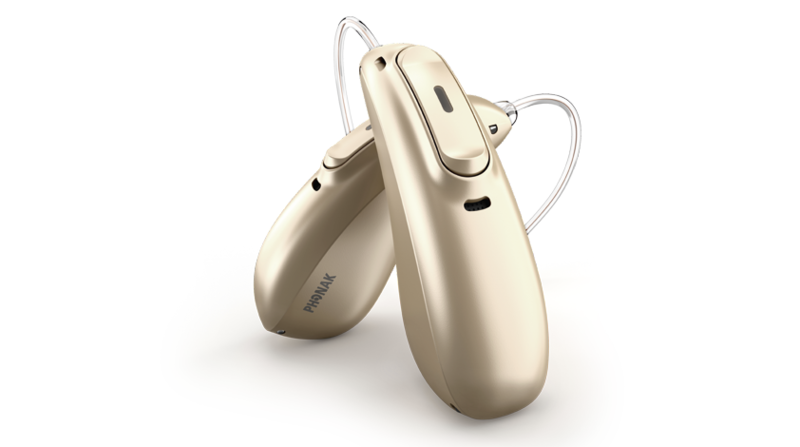 Through a combination of new and innovative technology, the Phonak Audéo Marvel will satisfy your needs whether you already wear hearing aids or you are yet to start your hearing journey with us. Marvel offers top rated streamed sound quality, combines excellent sound quality with direct connectivity, powerful rechargeable battery technology and smartphone apps – all in one! Exceptional hearing performance, sound experience and sound quality in even more everyday listening situations. Better speech understanding while on the phone or in loud, noisy environments. Fully automatic hearing aids that deliver better speech understanding versus manual program selection. Connectivity to smartphones – iOS and Android. Connectivity to a variety of everyday electronics. Hearing aids used like wireless stereo headphones. Marvel can deliver excellent TV sound quality and a high-quality music streaming experience. Hearing aids switch on automatically when removed from the charger. Packed with innovative technology that allows for direct streaming from electronic devices, remote support, and rechargeability, you can finally have a solution that both adapts to and improves your lifestyle. Come in and talk to us about all of the technology solutions available to you, we promise to look after you and join you on your journey to better hearing. Call us now on 020 7129 7923 or send us a message here.